Made from super soft and durable fabrics, Baby Mats measure approximately 31-inches in length, and are made for spending time with newborns and babies as they grow. Baby Mats fold up easily for travel, and are machine washable, just use delicate cycle and air dry. 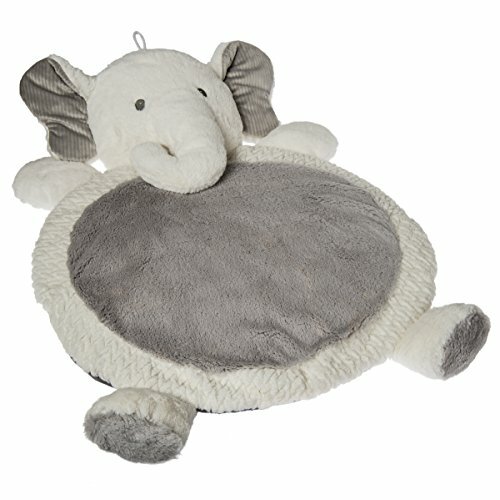 Baby Mats come in a variety of lovable animal friends. From monkeys, bears and lions, to owls, bunnies, lambs, giraffes and more, it's easy to find a baby mat to complement your nursery theme. Afrique Boutique items bring premium style to the modern nursery. Mary Meyer is an environmentally conscious company and has been making toys that are safe and fun since 1933. Mary Meyer has received numerous awards including multiple Toy of the Year awards. Known for using unique, beautiful, and incredibly soft fabrics, Mary Meyer continually strives to design extraordinary products of outstanding quality, all the while keeping an eye on customer service and value. Measures approximately 31 x 23"
If you have any questions about this product by Mary Meyer, contact us by completing and submitting the form below. If you are looking for a specif part number, please include it with your message. Tadpoles Soft EVA Foam 16pc Playmat Set, Unicorns and Rainbows, Pink, 50"x50"